We want to help you choose a memorial that will honor the life and memory of your loved one in a no-pressure environment. If you have an idea of what stone you want, that’s great. If you’re just beginning the process of choosing, that’s ok too. Our staff is here to help you no matter where you are in the process. 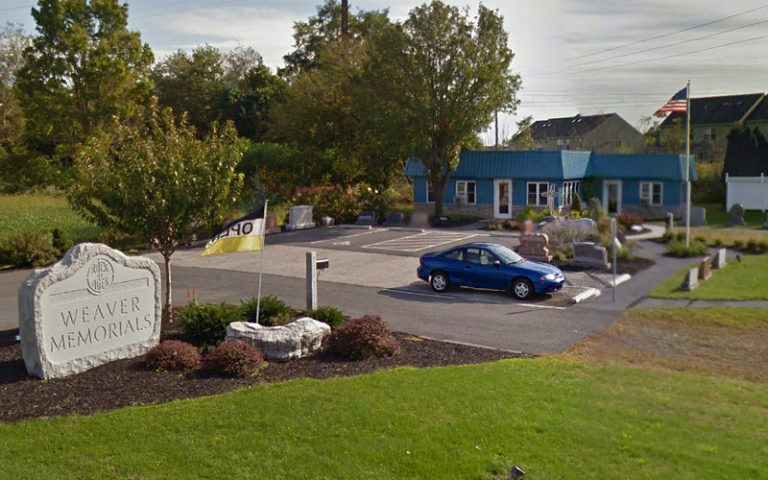 Our Mount Joy showroom is located on West Main Street (Route 230), 1 mile west of J.B. Hostetter & Sons hardware store. We can work with the cemetery to ensure proper headstone installation. A skilled Weaver Memorials craftsmen hand engraves each custom stone we create.